The BBC is to make a drama documentary about the death of Mark Duggan, the Tottenham man fatally shot by police in 2011, which aims to portray the “man behind the gangster stereotype”. The 60-minute film has the working title Lawfully Killed, a reference to the verdict of the inquest into Duggan’s death handed down last year, when a jury found that he had been unarmed, after throwing away a firearm, but lawfully shot twice by a police marksman. The BBC has placed an advertisement for a young actor to star as Duggan, whose death sparked some of the worst rioting seen in Britain in years, with the casting call stating that the docudrama will challenge his portrayal by the media. “Mark Duggan was not the notorious gunman the press have portrayed him to be; neither was he, as his family readily accept, ‘an angel’,” it says. “In this film we will try to find the man behind the gangster stereotype and understand the challenges he faced as a young black man from Tottenham’s Broadwater Farm Estate, an area which has lived in a state of semi-permanent siege since the murder of PC Keith Blakelock in 1985.” Continue Reading…. 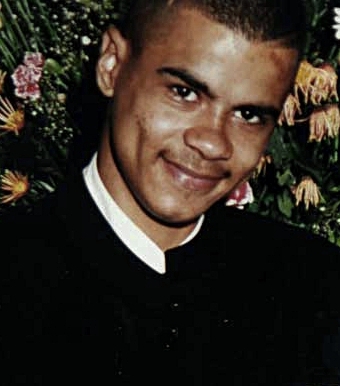 Rest In Peace Mark Duggan.